- Mix of articles, including one on disaster resettlement in China that is freely available. - Thematic issue focusing on "Internationalization in Conflict-Ridden Societies and within Migrant Populations." - Thematic issue focusing on "Schools, Risk, and Integration: Responding to the EU/Refugee Crisis." - Mix of articles, including "Non-Discrimination in Refugee and Asylum Law (against Travel Ban 1.0 and 2.0)" and "Protecting Syrian Refugees: Short Term Solution to Unsustainable Burden and The Necessity of Eliciting Aid from the Global North." - Includes special section on "Migration Governance: Regional Solutions to a Global Challenge." - Focuses on "Migration: Moving Backward, Moving Forward?." - Focus is on "Detention: Addressing the Human Cost." - Theme is "Manifestations of Migrant Vulnerability." - Special issue on "Mediatization and Politicization of Refugee Crisis in Europe." The introduction is freely available, and two articles are open access, one on Austria and one on Sweden. 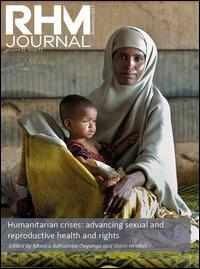 - Special issue on "Humanitarian Crises: Advancing Sexual and Reproductive Health and Rights."